AAA provides a cohesive framework to control who can access a router, what services they can use on a router, and what they can do on a router. The following sections cover the functions of AAA, as well as how to enable it. AAA is controlling who has access to a device, controlling what people can do when they’ve been granted access, and tracking their behavior throughout the session. 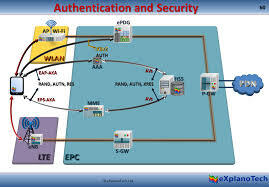 These protocols were defined by the Internet Engineering Task Force and are intended to provide an Authentication, Authorization, and Accounting (AAA) framework for applications such as network access or IP mobility in both local and roaming situations. Authentication: The authentication component of AAA is responsible for providing a method to identify (authenticate) users. This can include login access, as well as other types of access, such as PPP network access. With AAA authentication, you define one or more authentication methods that the router should use when authenticating a user. Authorization: AAA’s authorization is used to restrict what actions a user can perform or what services a user can access. For example, you might want a network administrator to have privileged EXEC access, but want him to use only the debug command. With AAA authorization, you can enforce this restriction. Accounting: AAA’s accounting component is responsible for keeping a record of events of authentication and authorization actions. This can be as simple as keeping track of who logs into a router and any status changes on the router (such as an interface going down or the router being reloaded), or something as complex as keeping track of each command that a user executes on a router. The accounting of AAA keeps a log of these events.